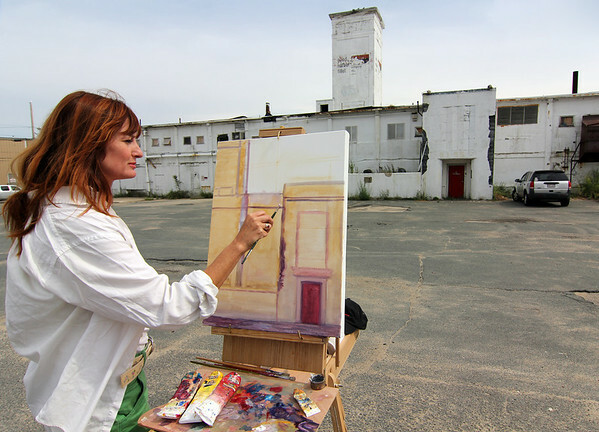 Allegra Boverman/Gloucester Daily Times Laureen Adrienne Maher of East Gloucester was starting a painting study of the Birdseye Building on Commercial Street on Thursday. She wants to do a series of paintings of each quadrant of the building and has taken many photos of the site. She wants to make sure she can paint the building before it could be torn down.